Worst post title ever, eh? Will anyone ever google “how to paint round things”??? Sometimes I see stamp sets and a teaching idea jumps right into my brain! 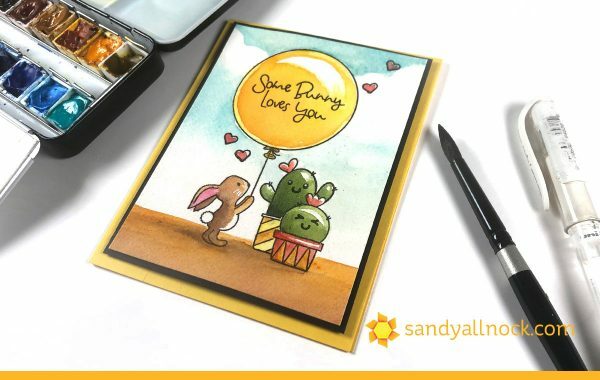 These two sets by Avery Elle – Stuck On You, with the cacti, and Some Bunny with the balloon and bunny. 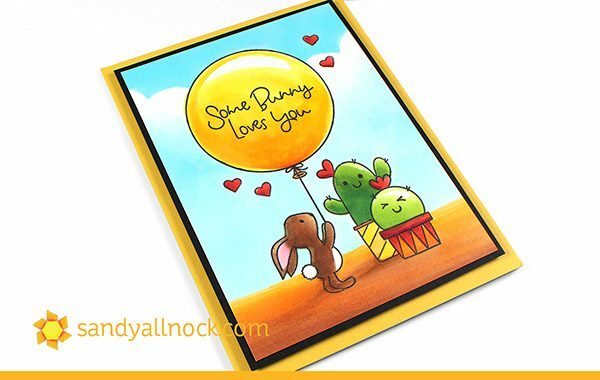 In stamping these images, I did the little cactus and bunny first, then masked the cactus and added his little cactus buddy and the balloon. Let’s hope bunny’s balloon stays airborne – or there is going to be one giant POP on the way! Very very cute. Lovely sets both of these, just waiting for my craft store to restock them. Thank you for sharing this. Adorable. 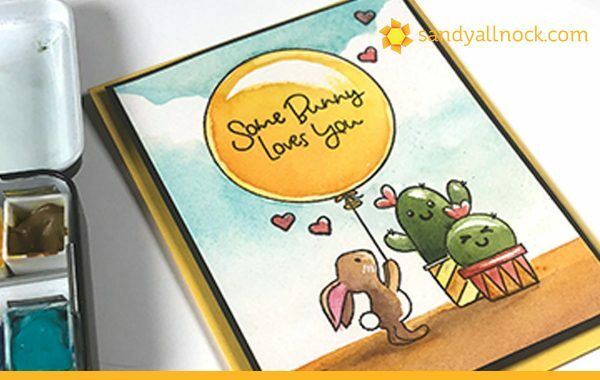 Let’s hope the cactus doesn’t pop the ball on and scare the bunny. I love your title Sandy! And I love both the water colour and Copic options too! 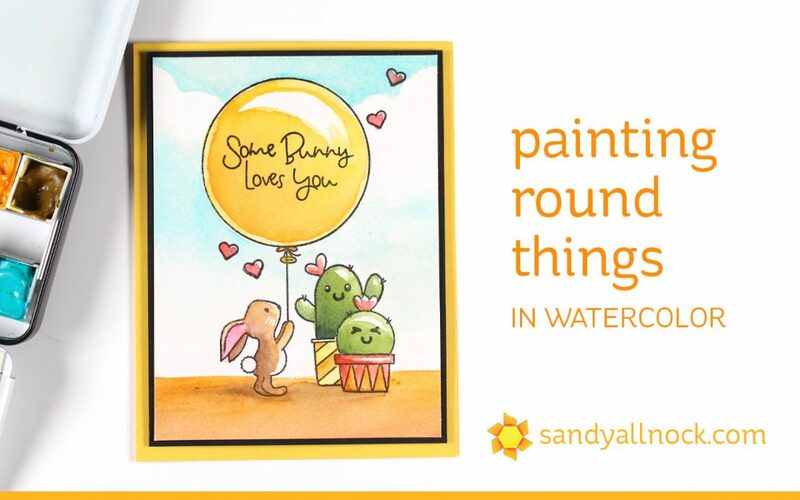 Very cute card Sandy and thank you for the tutorial with the great tips for painting round objects. I so enjoy watching you Watercolor-you are so inspiring, but I’m on vacation without my paints. Oh well I’ll be home soon and I’ll surround myself with all my favorite things. Thank you for sharing your talent and passion. Cute little card! And I would actually google search a title like this!